* Our MIT project Laser Interferometer Gravitational-Wave Observatory (LIGO) has detected the gravitational waves. Congratulations!!! For over 6 years, I’ve been working as a major contributor of the Data Analysis and SoftWare Group (DASWG), releasing all the LIGO software packages, managing thousands of nodes compute cluster and performing daily data analysis extensively and intensively. 1. Architect and develop cognitive capabilities on the cloud with RESTful API interfaces. 2. Research and develop cloud-native design principles comprising of micro-services architecture, auto-recovery and high availability automation. 3. Architect and develop core services accelerating development of other cognitive capabilities on the cloud. 4. Architect and develop automation frameworks for capacity management and auto-scaling. * My O1-A visa (Individuals with Extraordinary Ability or Achievement) application has been approved by the USCIS in November, 2014. * We got a paper accepted in Elsevier JPDC in November, 2014. * We got two papers accepted in IEEE TPDS, FGCS in October, 2014. * We got three papers accepted in IEEE TETC, TCC and FGCS in June, 2014. I am feeling comfortable with collecting, storing, processing, analyzing and visualizing big-data workloads up to several Terabytes per day. Specifically, my research has long been focused on characterizing, tuning and optimizing big-data applications such as Hadoop MapReduce, Giraph Pregel, Graphlab, etc. I am also expertise in novel programming models that address and support the needs in cloud computing, such as elasticity, concurrency, streaming and real-time. My previous work primarily focuses on managing and orchestrating virtualized resource provisioning for fluctuating workloads in elastic cloud platforms. I’ve been extensively exposed in different scientific domains, such as gravitational-data analysis (the MIT LIGO project), genome sequencing data analysis (the UChicago Globus Genomic project) and computing platform data analysis (The IBM Watson project). Hands on experience with Amazon Web Services (EC2, S3, DynamoDB, Elastic MapReduce), big-data programming models (MapReduce, Pregel, Graphlab), open source big-data tools (Hadoop, HBase, Pig, Zookeeper, Whirr), monitoring systems (Ganglia), visualization tools (amcharts, D3, Kartograph, etc). Solid mathematical and optimization skills: calculus, matrix, probability theory, operation research, etc. 28. F. Zhang, M. F. Sakr, K. Hwang, and S. U. Khan, "Empirical Discovery of Power-Law Distribution in MapReduce Scalability," IEEE Transactions on Cloud Computing. IEEE Transactions on Cloud Computing, 2016, in press. 25. R. Irfan, O. Khalid, M. Khan, C. Chira, R. Ranjan, F. Zhang, S. Khan, B. Veeravalli, K. Li, A. Zomaya, "MobiContext: a Context-aware Cloud-based Recommendation Framework," IEEE Transactions on Cloud Computing, 2016, in press. 20. F. Zhang, J. Cao, K. Hwang, K. Li, S. U. Khan. “Adaptive Workflow Scheduling on Cloud Computing Platforms with Iterative Ordinal Optimization”, IEEE Transactions on Cloud Computing, 3(2):156-168, 2014. 15. F. Zhang, Q. M. Malluhi, T. Elsayed, “ConMR: Concurrent MapReduce Programming Model for Large Scale Shared-Data Applications”, 42nd International Conference on Parallel Processing (ICPP 2013), Lyon, France, October, 2013. 14. F. Zhang, M. F. Sakr, "Dataset Scaling and MapReduce Performance", Workshop on Large-Scale Parallel Processing (LSPP'13) held at the 27th IEEE International Parallel and Distributed Processing Symposium (IPDPS), Boston, USA, May, 2013. 13. F. Zhang, J. Cao, C. Hong, L. Liu, and C. Wu, “Redundant Virtual Machines Management in Virtualized Cloud Platform”, International Journal on Modeling, Simulation, and Scientific Computing 2(2), 151-168, 2011. 12. J. J. Mulcahy, S. Huang, J. Cao, and F. Zhang, “How Are You Feeling? A Social Network Model to Monitor the Health of Post-Operative and Remote Patients”, Proc. IEEE International Systems Conference, 149-154, Montreal, Canada, 2011. 11. F. Zhang, J. Cao, K. Hwang, and C. Wu, “Ordinal Optimized Scheduling of Scientific Workflows in Elastic Compute Clouds”, Proc. 3rd IEEE International Conference on Cloud Computing Technology and Science (CloudCom 2011), 9-17, Athens, Greece, 2011(acceptance rate: 24%). 10. F. Zhang, J. Cao, C. Hong, J. Mulcahy, and C. Wu, “Adaptive Virtual Machine Provisioning in Elastic Multi-tier Cloud Platforms, Adaptive Resource Provisioning in Virtualized Cloud Platforms”, International Journal of Web Services Research (IJWSR). 8(3):54-69, 2011 (SCI IF: 1.053). 9. F. Zhang, J. Cao, C. Hong, J. Mulcahy, and C. Wu, “Adaptive Virtual Machine Provisioning in Elastic Multi-tier Cloud Platforms”, 6th IEEE International Conference on Networking, Architecture, and Storage, 11-19, DaLian, China, 2011(acceptance rate: 31%). 8. F. Zhang, J. Cao, L. Liu and C. Wu, “Fast Autotuning Configurations in Distributed Computing Systems using Ordinal Optimization”, Tsinghua Science and Technology. 16(4), 440-448, 2011. 7. J. Cao, F. Zhang, K. Xu, L. Liu and C. Wu, “Formal Verification of Temporal Properties for Reduced Overhead in Grid Scientific Workflows”, Journal of Computer Science & Technology. 26(6), 1017-1030, 2011. (SCI IF: 0.586). 6. F. Zhang, J. Cao, L. Liu, and C. Wu, “Adjacent Matrix based Deduction for Grid Workflow Applications”,1st International Conference on Networking and Distributed Computing, 349-356, HangZhou, China, 2010(ICNDC 2010 acceptance rate: 19%). 5. C. Zhao, J. Cao, H. Wu, and F. Zhang, “Cost Estimation of Advance Reservations over Queued Jobs: a Quantitative Study”, International Journal of Modeling, Simulation, and Scientific Computing, 1(3). 317-332, 2010. 4. F. Zhang, J. Cao, X. Song, H. Cai, and C. Wu, “AMREF: An Adaptive MapReduce Framework for Real Time Applications”, 9th International Conference on Grid and Cloud Computing, 157-162, Nanjing, China, 2010. 3. F. Zhang, J. Cao, L. Liu, and C. Wu, “Fast Autotuning Configurations of Parameters in Distributed Computing Systems using OO”, 38th International Conference on Parallel Processing Workshops, 190-197, Vienna, Austria, 2009. 2. J. Cao, F. Zhang, K. Xu, L. Liu, and C. Wu. In L. Wang and J. Chen (Eds. ), “From Enabling to Ensuring Grid Workflows”, Quantitative Quality of Service for Grid Computing: Applications for Heterogeneity, Large-Scale Distribution, and Dynamic Environments, 46-73, IGI Publishing, 2009. 1. F. Zhang, J. Cao, L. Liu, and C. Wu, “Qualification Evaluation in Virtual Organizations Based on Fuzzy Analytic Hierarchy Process”, 7th International Conference on Grid and Corporative Computing, 539-547, ShenZhen, China, 2008. 34. 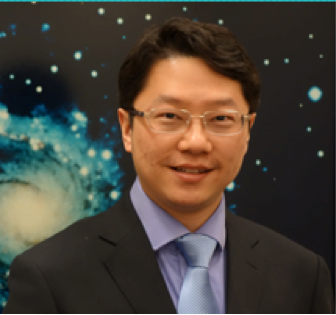 F. Zhang in LIGO Scientific Collaboration and Virgo Collaboration. "Astrophysical Implications of the Binary Black-Hole Merger GW150914", Astrophysical Journal Supplement Series, 818, L22, 2016. "Research Onlines on Big data and Programming Models", Shanghai Jiaotong University, October 8, 2014. "Summer Course Series for Undergraduate and Graduate Students", Colleage of Information Science and Engineering, Hunan University, June 18-23, 2014. “Performance Variations in Resource Scaling for MapReduce Applications on Private and Public Clouds”, Colleage of Information Science and Engineering, Hunan University, Jan, 2014. “Performance Variations in Resource Scaling for MapReduce Applications on Private and Public Clouds”, Graduate School of Shenzhen, Tsinghua University, Jan, 2014. “Investigation of Cloud Computing Solutions for Massive Computation in Gravitational-wave Astrophysics”, Division of Physics, Mathematics and Astronomy, Caltech, Pasadena, CA. November 2013. “Characterization of MapReduce Applications on Private and Public Cloud Platforms”, Qatar Computing Research Institute, Doha, Qatar. June 2013. “Characterization of MapReduce Applications on Private and Public Cloud Platforms”, University of Chicago, Chicago, IL. May 2013. “Research Outline in Big Data and Cloud Computing”, Bell Labs Research, Dublin, Ireland. March 2013. “ConMR: Concurrent MapReduce Programming Model for Large Scale Shared-Data Applications”, Qatar Annual Research Forum, Qatar National Convention Center, Doha, Qatar, October 2012. “Performance Variations in Resource Scaling for MapReduce Applications on Private and Public Clouds”, the 7th IEEE International Conference on Cloud Computing, Alaska, USA, June 2014. “LSC Software Repository Management”, Face-to-Face meeting of the Data Analysis Software Working Group at the University of Wisconsin, Milwauklee. Nov. 2013. “Cluster-size Scaling and MapReduce Execution Times”, the 5th IEEE International Conference on Cloud Computing Technology and Science, Bristol, UK, December 2013. “Dataset Scaling and MapReduce Performance”, Workshop on Large-Scale Parallel Processing held at the 27th IEEE International Parallel and Distributed Processing Symposium, Boston, USA, May, 2013. “Ordinal Optimized Scheduling of Scientific Workflows in Elastic Compute Clouds”, the 3rd IEEE International Conference on Cloud Computing Technology and Science, Athens, Greece, 2011. “Adjacent Matrix based Deduction for Grid Workflow Applications”,1st International Conference on Networking and Distributed Computing, HangZhou, China, 2010. “AMREF: An Adaptive MapReduce Framework for Real Time Applications”, 9th International Conference on Grid and Cloud Computing, Nanjing, China, 2011. “Qualification Evaluation in Virtual Organizations Based on Fuzzy Analytic Hierarchy Process”, 7th International Conference on Grid and Corporative Computing, ShenZhen, China, 2008.